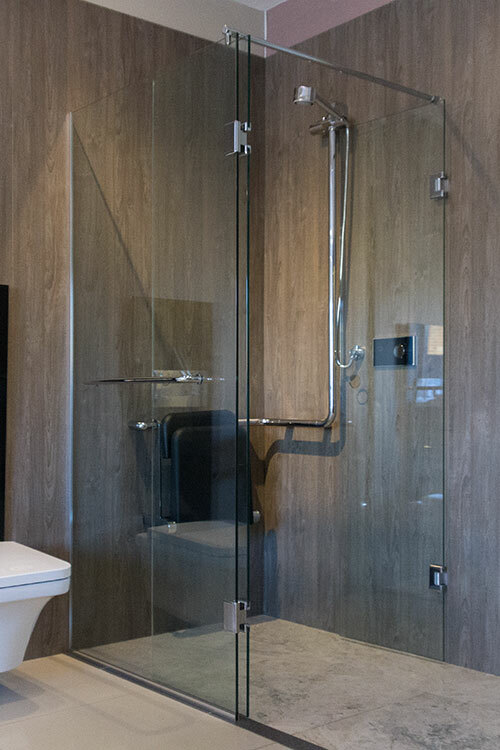 This luxury shower enclosure features handy saloon doors that can be folded fully inwards and outwards for easy entry into the shower. 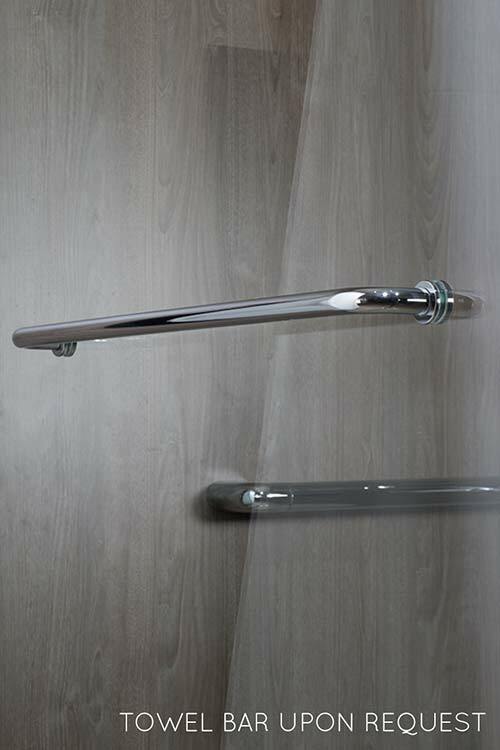 An ideal addition for mobility bathrooms where accessibility is of the highest importance. 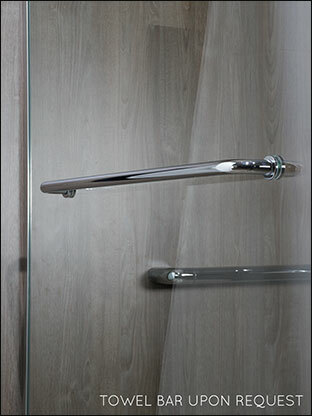 Suitable for installation on a wet room floor or onto a conventional shower tray. 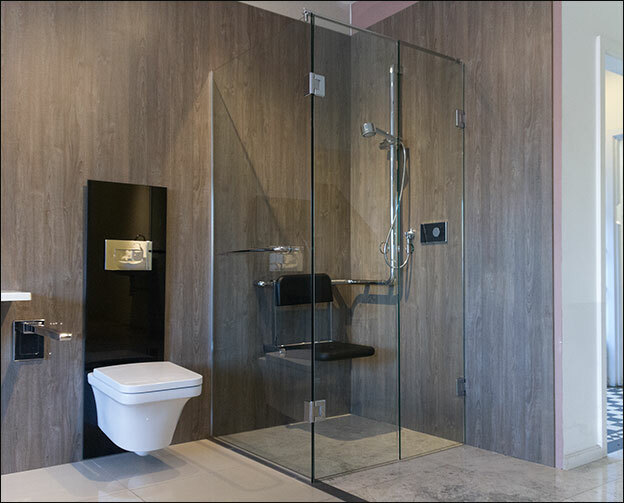 A high quality frameless design in 10mm toughened safety glass; with a choice of low iron, tinted or frosted glass. 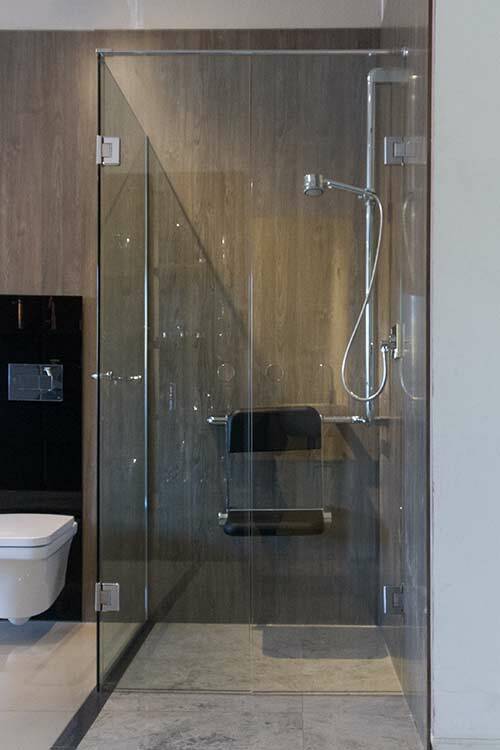 The shower fittings are also supplied in choices of chrome, nickel, gold and brushed stainless steel finishes. Bespoke sizes are available on request. • UK designed & manufactured. 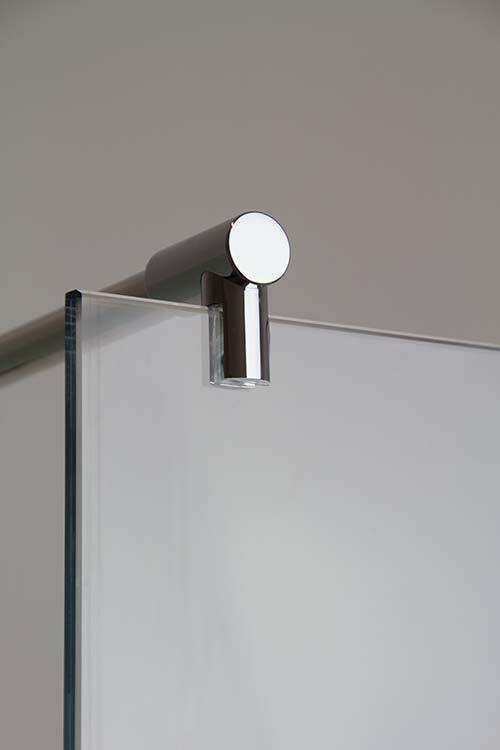 • Luxury 10mm safety glass. • Easy access shower for disability bathrooms. 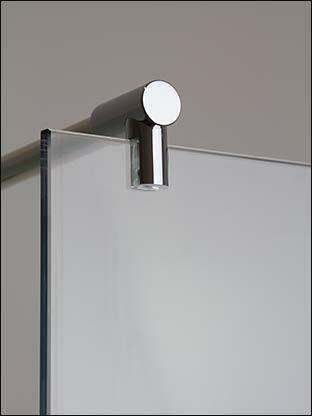 • Clear, tinted & frosted glass. 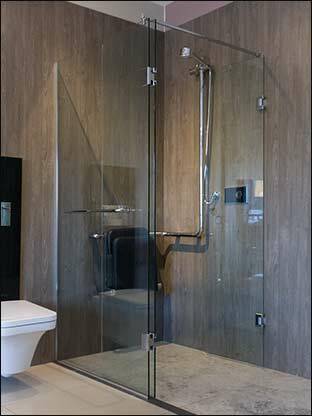 • Chrome, gold, nickel & stainless fittings. 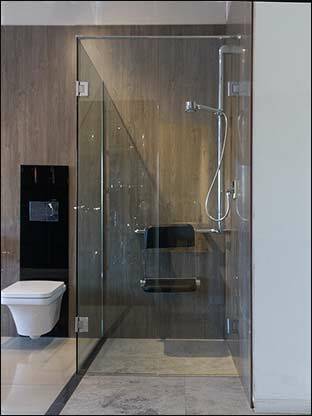 • Wet floors or shower trays.